Mixing his spontaneous creativity and absurd view of the world, Rory Scovel is quickly making a name for himself across North America. Whether discussing drugs, politics, or life in general he shifts the vibe of any room and places the audience in the scene of every punch line. 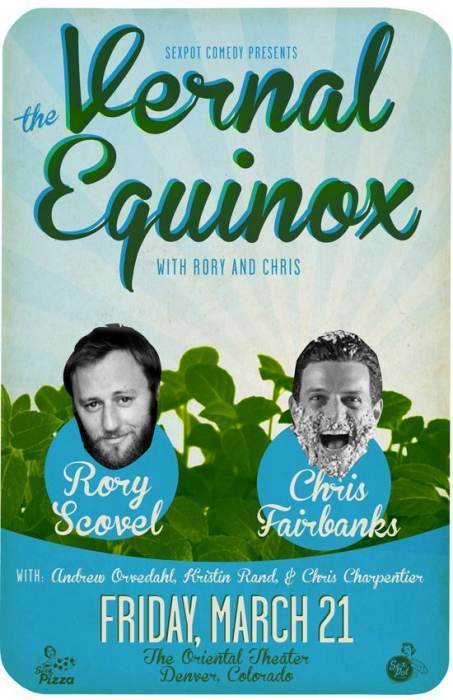 Rory Scovel has been a favorite in the festival circuit performing at the Montreal Just for Laughs Comedy Festival, Vancouver Comedy Festival, Seattle Comedy Competition, Del Close Improv Marathon, Bumbershoot Festival, Sasquatch Music Festival and Chicago Improv Festival. He has been featured on Comedy Central's Live at Gotham, Late Night with Jimmy Fallon, The John Oliver Show for Comedy Central as well as Conan. His Comedy Central Half Hour Presents aired in the summer of 2012 and he CURRENTLY BE SEEN AS HARVARD ON TBS' COMEDY GROUND FLOOR with Skylar Astin. Rory's new Album is available now from THIRD MAN RECORDS. You should get it. He's insane and wonderful. A drug with no consequence. A lover with no apologies. Chris Fairbanks, a young comic who left the scenic comfort of Big Sky Country in Montana thirteen or so years ago to join the Texas comedy circle, has been getting a lot of attention. 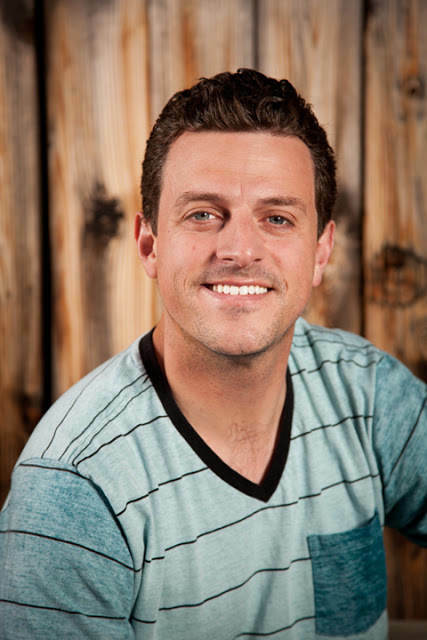 In the past few years, Chris took first place in 2003's Funniest Person in Austin contest, attended Montreal's Just for Laughs festival in their "New Faces" showcase, starred as "Randy" on the MTV reality series "The 70's House", received 1st runner-up in Comedy Central's Laugh Riots contest, and has appeared on Jimmy Kimmel Live and Comedy Central's Premium Blend. He was an action sports correspondent for the Fuel TV network, appeared on Last Comic Standing (season 6) and was a series regular on Comedy Central's "Reality Bites Back". Chris resides in Los Angeles and makes his living as a club touring stand-up comic and actor. Locally, Chris has become a favorite with appearances at The Grapes of Rad at The Gothic Theater, Too Much Fun, The Grawlix and a number of other Fairbanksian haunts. Oh and he was JUST on Conan O'Brien, because um, he's the DOPE SHOW. That's his wrestling name. * *This is just a name.